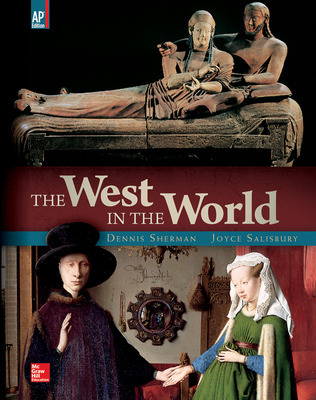 Dennis Sherman (author of the best-selling Sources, Images, and Interpretations) and co-author Joyce Salisbury bring strong pedagogy and a modern look and feel to their new edition of The West in the World. This AP Edition focuses on intellectual, cultural, and political history through the use of highly visual features and captivating stories. Sherman helps students fully engage with history!